Every company wants to find competent, reliable employees to work for them. However, sometimes the process of seeking out and recruiting employees seems like an overwhelming task. For this reason, many growth-oriented companies choose to partner with executive search firms in Milwaukee like the Lawler Group. These recruiting firms specialize in helping companies find and recruit qualified individuals for executive, management, and professional positions. There are many reasons why businesses prefer to partner with such firms. Below, we will discuss five of the reasons why companies partner with executive search firms in Milwaukee. The first reason businesses take advantage of executive search firms in Milwaukee is convenience. positions within their companies more quickly and efficiently. Filling positions quickly enables companies to continue operating without losing momentum or falling behind. Not only do recruiting firms offer convenience, but they also offer quality. Businesses like to work with recruiting firms such as the Lawler Group because they really do produce great results. They successfully locate and hire professionals that are the right fit for these growing companies. Part of what makes executive search firms in Milwaukee so successful is that they know what to look for in job candidates. They do not just fill positions, but they find leaders who are competent and passionate. The third reason companies use executive search firms is because they provide a wide pool of talent. If a company tried to recruit individuals on its own, the pool to recruit from would probably be much smaller. Because recruiting firms like the Lawler Group network with businesses all over the country, they can provide a more substantial pool of talent. Not to mention, individuals who are looking for jobs also seek out the help of the Lawler Group, providing them with even more qualified candidates to choose from. Another reason companies benefit from partnering with search firms is because their methods are not “one size fits all.” The Lawler Group customizes their approach based on your specific company. What distinctive qualities are you looking for in employees? What kind of employees can help take your business to the next level? 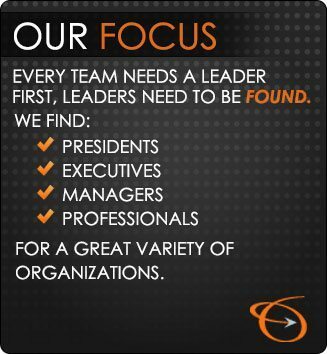 This sort of consultative approach means that the Lawler Group will work hard to help you locate and hire professionals that meet your company’s unique vision. Most businesses that use executive search firms in Milwaukee do not just do it as a one-time thing. Rather, they develop long-term relationships with search firms so that they can utilize them in the future when there are job openings. This kind of ongoing relationship is extremely beneficial to growth-oriented companies. To find out more about the Lawler Group and the services we provide, contact us today.